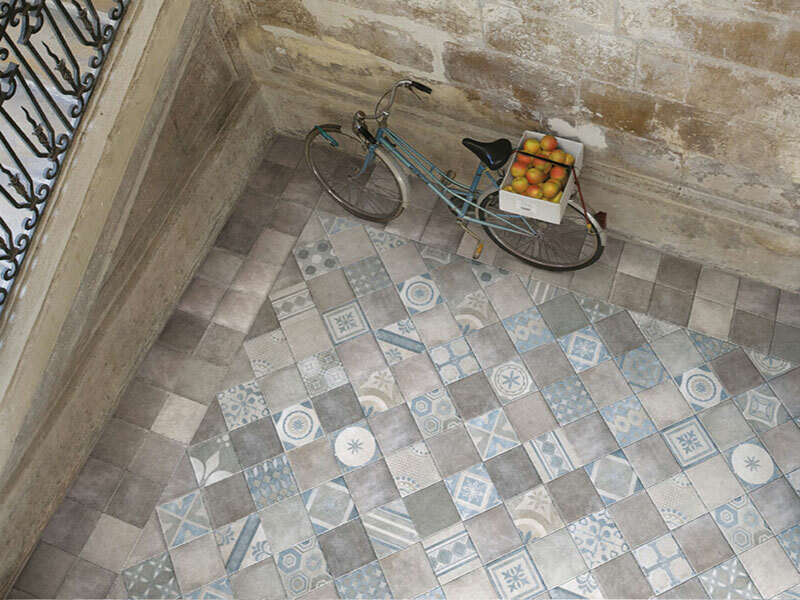 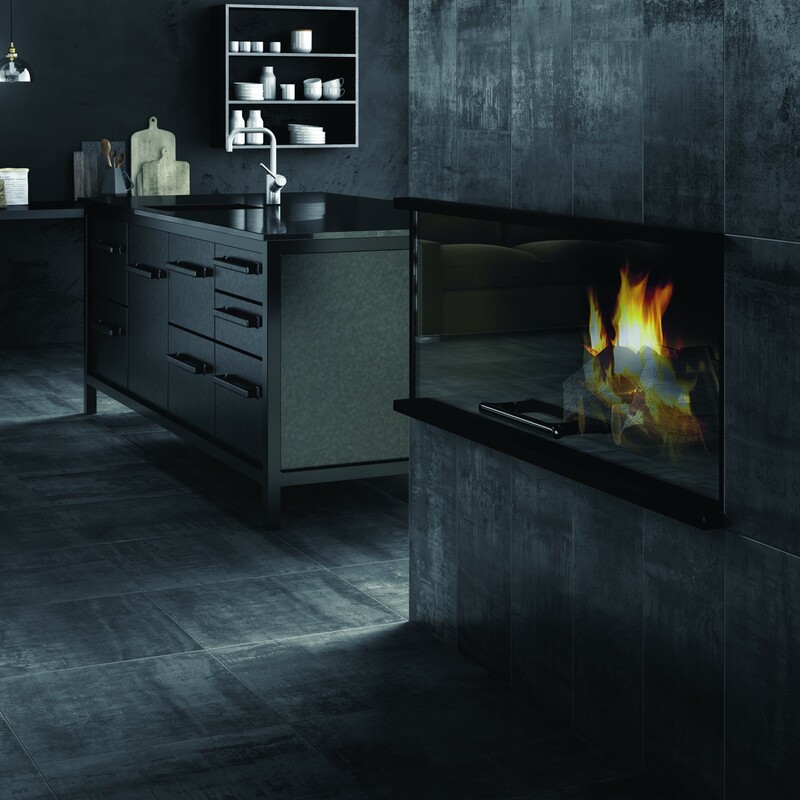 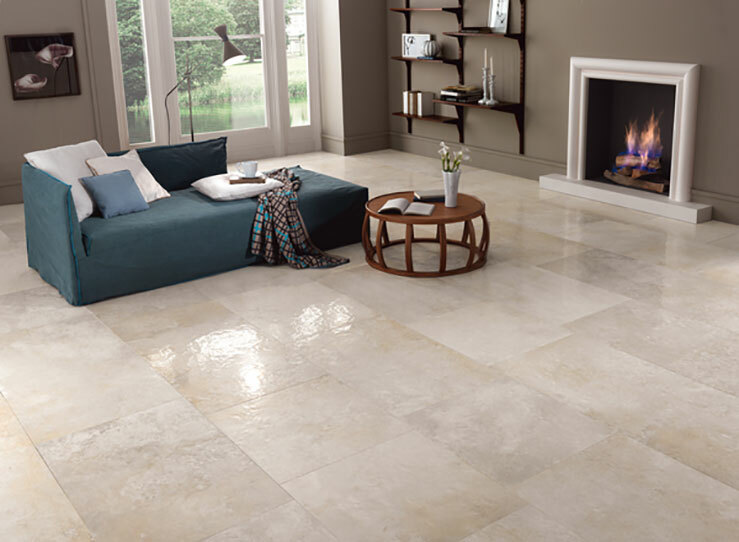 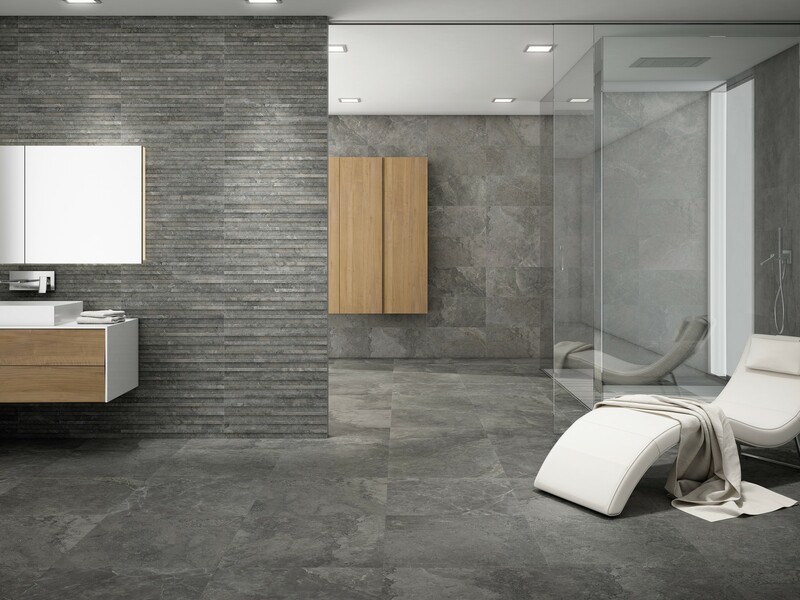 The beauty of porcelain tiles is you can have traditional looking tiles with either chipped edges or contemporary crisp edges, in a variety of sizes without the need to seal and maintain. 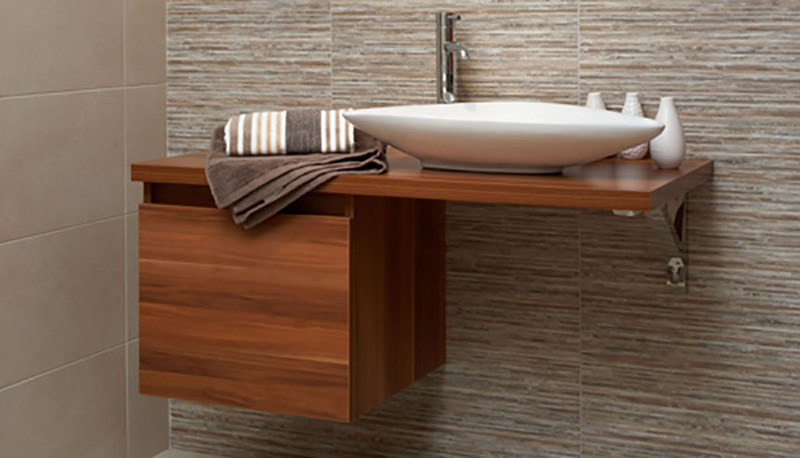 A simple sweep and a mop to keep them looking good is sufficient. 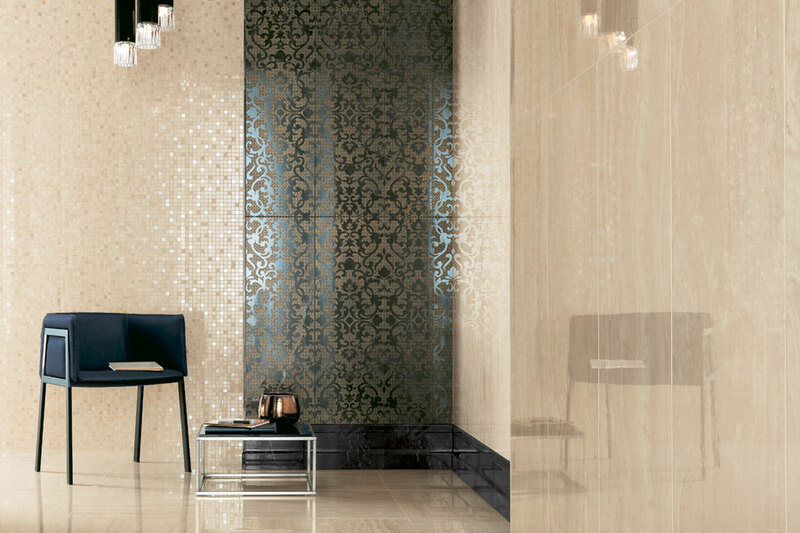 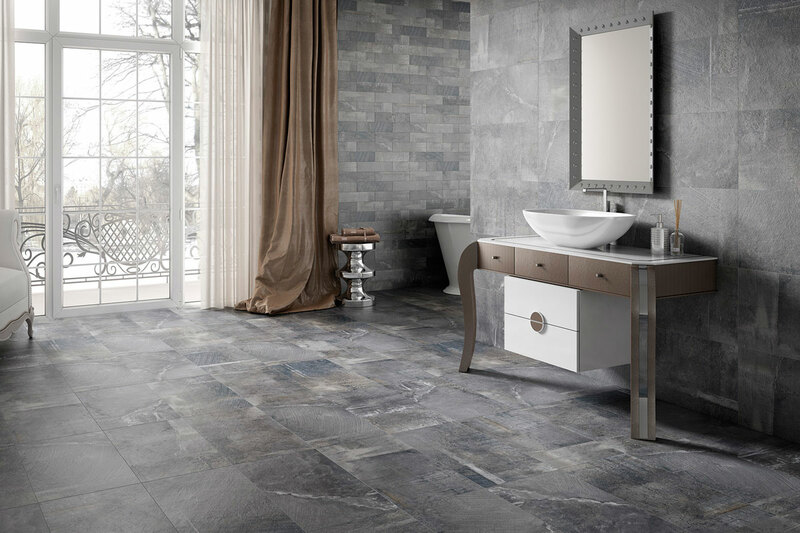 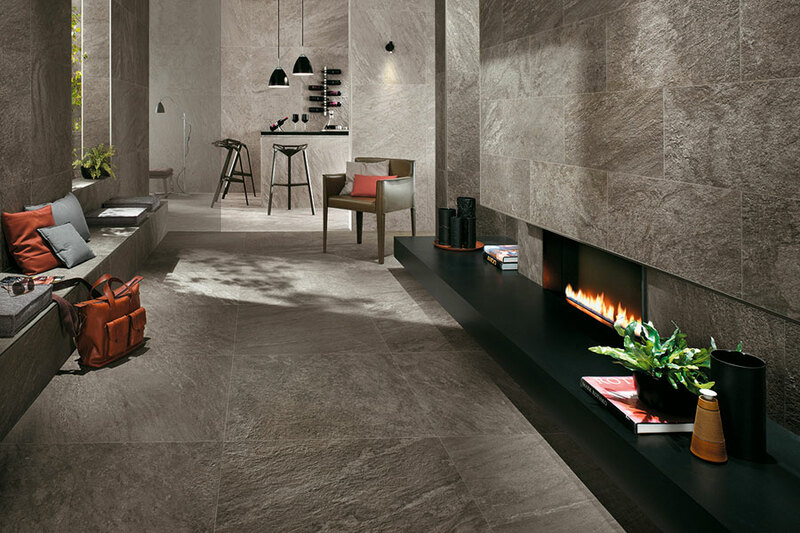 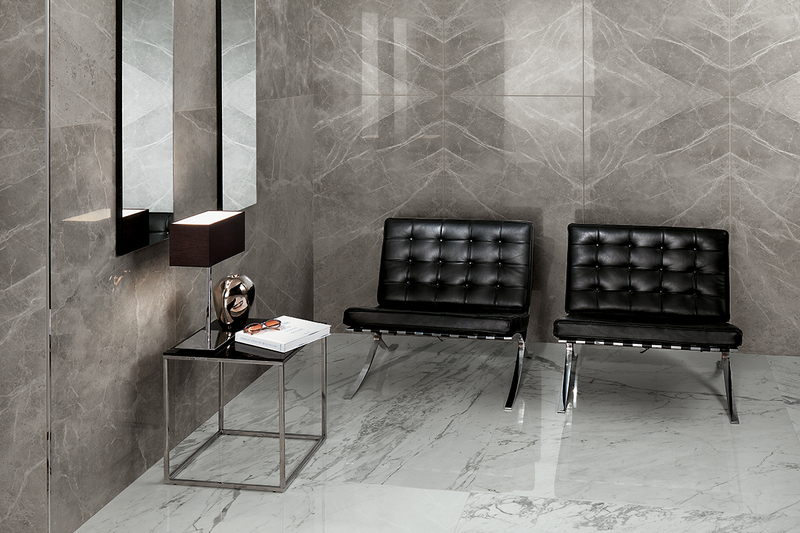 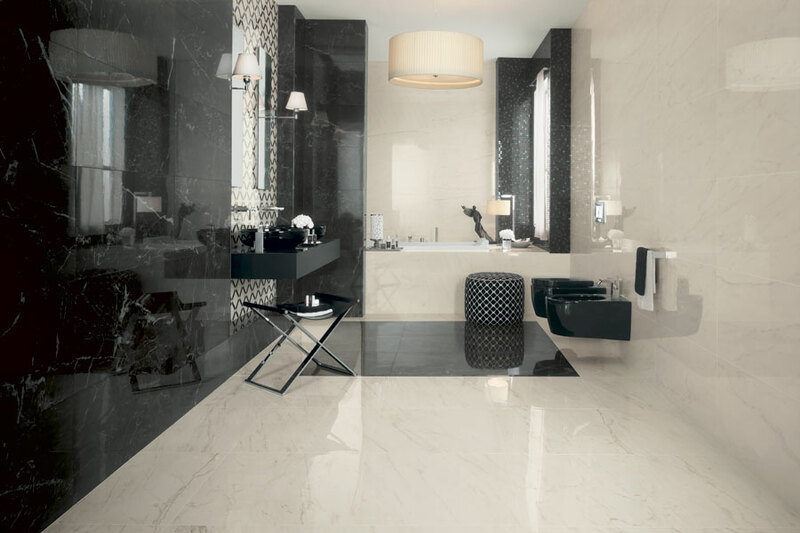 Increasingly porcelain tiles are being used on walls as well as floors to give a bathroom a look of continuity. 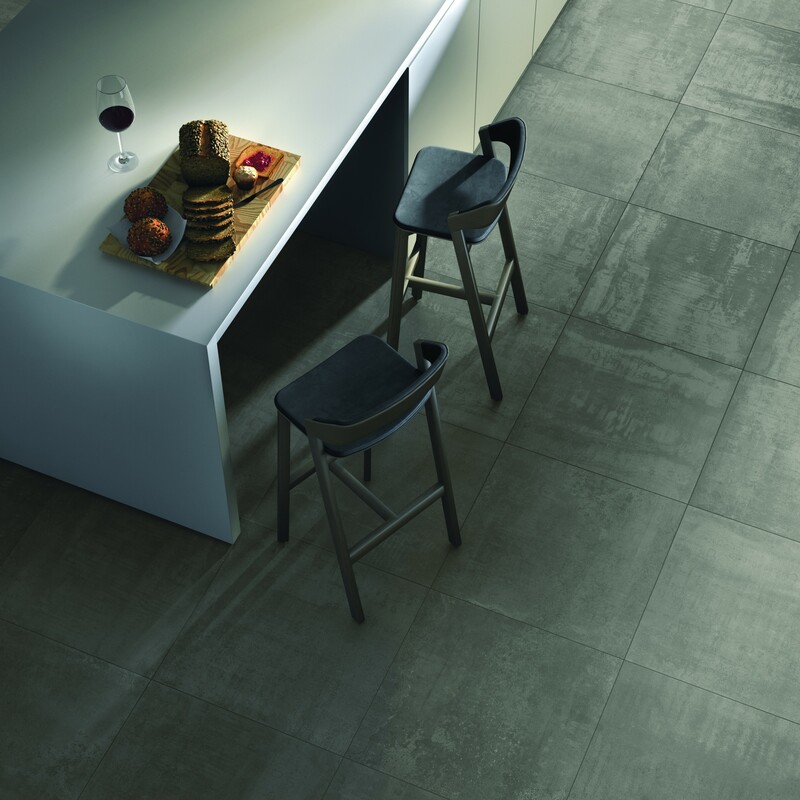 Porcelain tiles come in many sizes and shapes, current at the moment are very large format tiles which range from 750mm to 1200 wide. 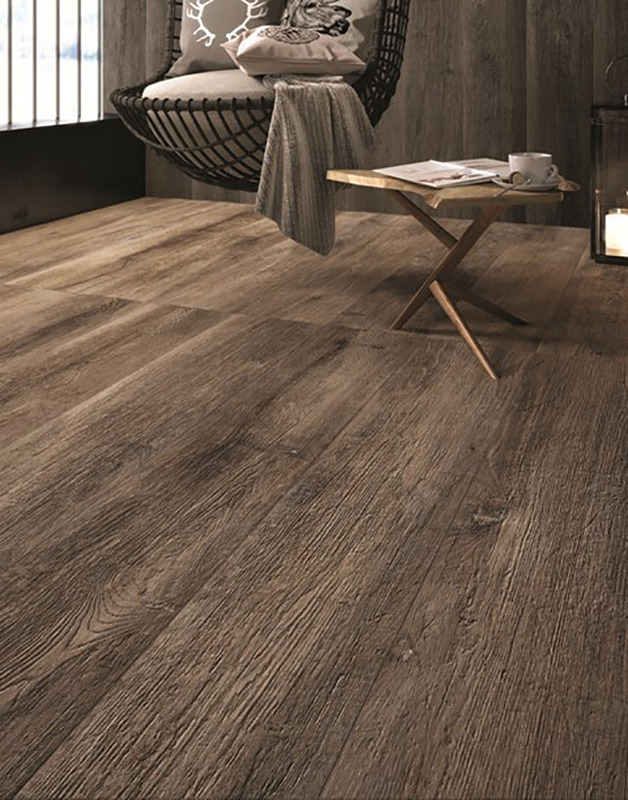 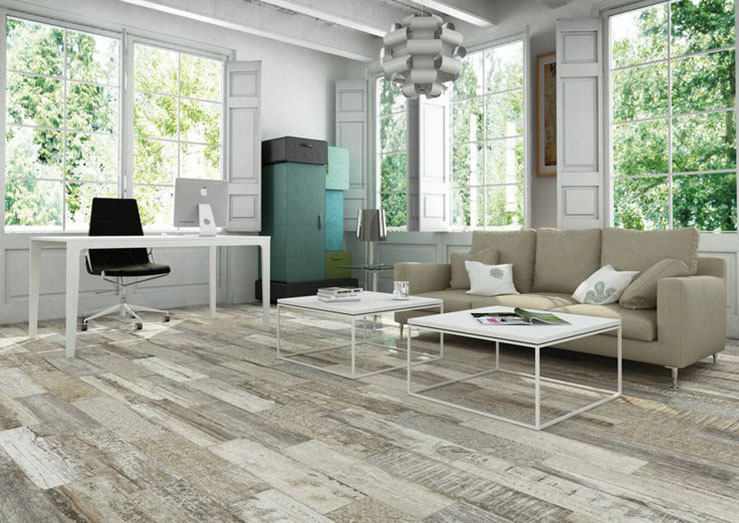 A popular trend now is for porcelain floor tiles which look exactly like real wood floors. 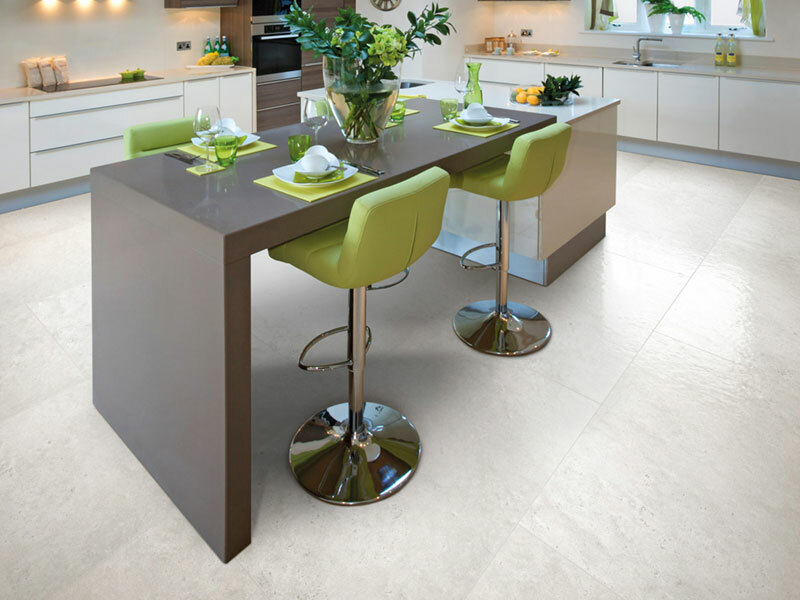 They are non slip and have the advantage of being able to install over an underfloor heating system. 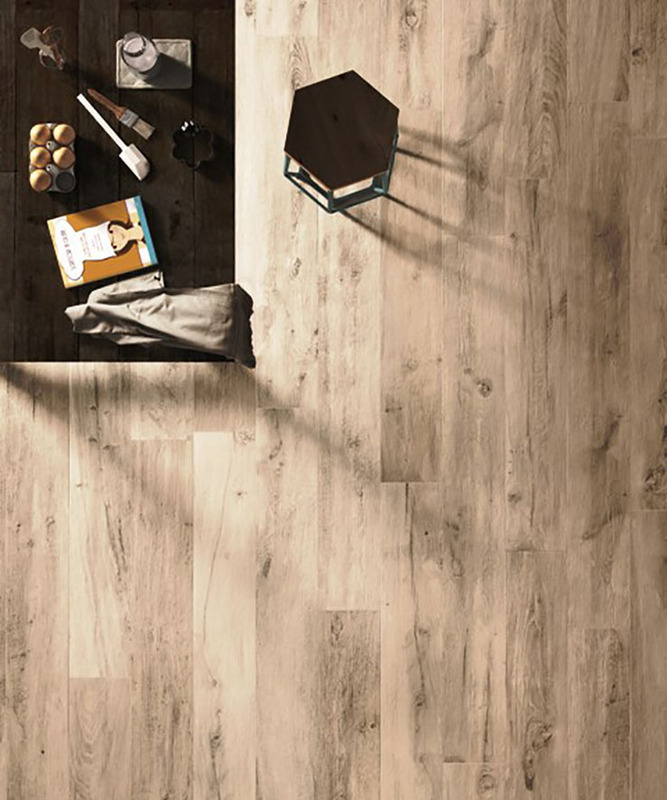 We have several eye-catching displays of the latest wood-effect porcelain tiles in the showroom and have many useful sample boards which you can take away with you and try at home make sure you choose the right colour for your house.